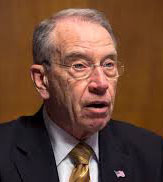 Although Senator Grassley was Chairman of the Senate Judiciary Committee when he made the above comment on August 21, 2018, the members of the federal government to which he refers do not include federal judges who nevertheless are paid from the same pool of taxpayer dollars as are other federal officers, agents and employees. To compensate for this lack of accountability, which at times is abused by federal judges, Grassley has vigorously championed for the creation of an Office of Inspector General with oversight authority over the Judiciary. Such oversight is a constitutional duty of Congress. However, legislators are famously reluctant to exercise this responsibility. Perhaps they fear the power amassed by judges through generations of self-regulation and the acquisition of immunity, which has allowed judges to engage in a wide spectrum of misconduct for political or other self-serving purposes. This website bears witness to how this kind of power, exercised by a federal judge with an unlawful conflict of interest, can lead to the malicious destruction of a fertile scientific career. 1Exerpted from: Chuck Grassley, "The Critical Importance of Congressional Oversight," https://www.realclearpolicy.com/articles/2018/08/21/the_critical_importance_of_congressional_oversight_110768.html, August 21, 2018, accessed 08/25/2018. Reprinted in accordance with the "fair use" provision of Title 17 U.S.C. § 107 for a non-profit educational purpose.